What will Thinking Into Results do for us? 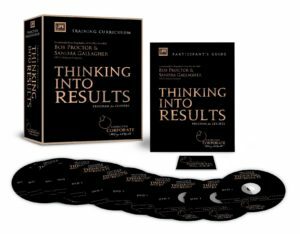 The life transforming Thinking Into Results Corporate and Self-Development programs run a total of 24 weeks covering 12 power-packed lessons with primary focus on 1 lesson every 2 weeks. Really? How can a simple mentoring program help us attain our goals? This exceptionally designed program is presented in 12 relevant. simple and practical lessons, to ensure that the success mindset becomes a part of each individual’s thinking, and actions, translating into a team operating together at a higher level of awareness and creativity. They will truly think into results and find solutions that reach the goals and vision of the corporation or individual or family.. This results in exceptional returns on investment for your organization. How do we access our program materials? Access to the TIR Mentoring program can be found conveniently located inside the virtual PGI Campus membership site. If you’re not yet a member of the virtual PGI Campus, you will be granted access shortly after the completion of your online registration. All the details to log in and access your program materials will arrive to you by email and we have an amazing support team standing by at support@proctorgallagher.com to help you should you need assistance in getting started. Our member website and media content is accessible from any computer, tablet or mobile device that has an internet connection. What are the contents of each lesson? Click her to request a 15-minute consultation. Will we get an opportunity to talk with DJ Peck personally? You sure will! As a member, you’re invited to attend 12 Q&A group sessions and facilitated think tank group sessions with DJ. Individual consultation with DJ is available in his Elite program. Yes, of course it is! Regardless of how long you’ve been studying, this program is a classic addition to your library. Being a serious student, you know the power of repetition, and we can guarantee you, you’ve not seen these ideas presented in this particular way anywhere else. 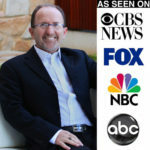 Plus, you have the added benefit of working directly with a Proctor Gallagher Consultant trained and mentored by Bob Proctor. As with any program of this nature, you will only get out of it what you put into it. We recommend allotting a minimum of 3-5 hours each week to studying your program materials, though you are encouraged to make studying the program a daily habit. It’s the daily habitual of studying and applying the RIGHT ideas that are going to do it for you and catapult you into the success you desire in all areas of your life. Turn your TV off and feed your mind and soul with something positive that will help you through transition and transformation. Indefinitely! While your Q&A calls and Think Tank sessions will run their course, you will have access to the audios, videos and printed lessons indefinitely to enjoy over and over again. Do you offer any bonuses with the program? Do you offer a guarantee or refund? We are looking for committed action takers. You will get out of this program what you give into it. It is difficult to give a refund for digital materials since it is difficult to return them “to the store” for a refund. The coaching is offered as a bonus to supplement the materials and is therefore not refundable. We do not suggest you go into debt to follow this program and we cannot unfortunately give you financial advice concerning your financial choices pertaining to the TIR Program. Just choose a payment option and follow the steps to register – we’re so looking forward to having you with us! I don't think I want a mentor at this time. Can I study this material by myself? First of all, I hope you have seen the video on our home page about the importance and power of mentoring. Click the link above to check it out and see if it’s for you. But we know you’ll be back for mentoring to apply the program to your life and relationships and business.